Achievement Beyond Obstacles Luncheon was held on Tuesday, March 7 as a combined meeting with the Reno Central Club at the Peppermill Spa and Resort. There was a good crowd to honor the 2017 Achievement Beyond Obstacles students. Reno Central did an excellent job hosting and Reno South had a strong presence in support of the program. It was a moving and meaningful event as always. Thank you to the committee members from our club who are working hard to keep this great event moving forward to help more high school students now and in the future. Jonnie Pullman will lead our RI Foundation giving effort this year. 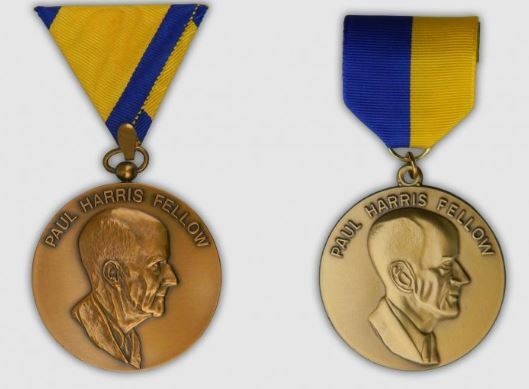 She plans to use the tried and true "third, a third and a third" plan where if you put up a third of the amount needed to earn your next (or first) Paul Harris Fellow designation, the club will put up a third and the final third will come from points accumulated and donated by your fellow members for this effort. Welcome to our Rotary Club! Students enrolled in the Achievement Beyond Obstacles Scholarship Program will deliver their "talks"